The Wonderful Wizard of Oz, written by L. Frank Baum and illustrated by W. W. Denslow, is probably one of the most-loved children’s books of all time. 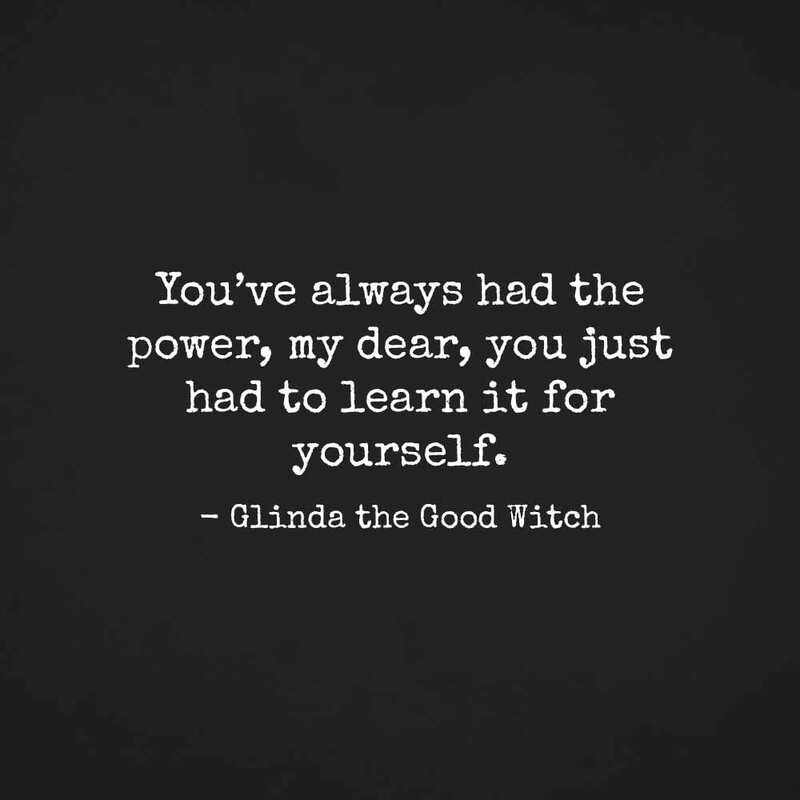 The book’s popularity inspired a Broadway musical adaptation that was staged in 1902 under the title The Wizard of Oz. As most of you probably know, the story offers a vivid and detailed account of the adventures of a young and naive farm girl named Dorothy in the mystical Land of Oz, where she lands after having been swept away by a monstrous hurricane. Fortunately, the little girl is not alone. With her are her faithful dog, Toto, a Scarecrow, a Tin Woodman, and a Cowardly Lion. And each of them has a personal request to the mighty Wizard of Oz that they all hope to find. Dorothy wants to get back to her Kansas farmhouse, where she lives with her aunt, Em, and her Uncle, Henry. The Scarecrow wants a brain in his straw head and the Tin Woodman wants to get a human heart so that he can feel. The Cowardly Lion wants some courage. 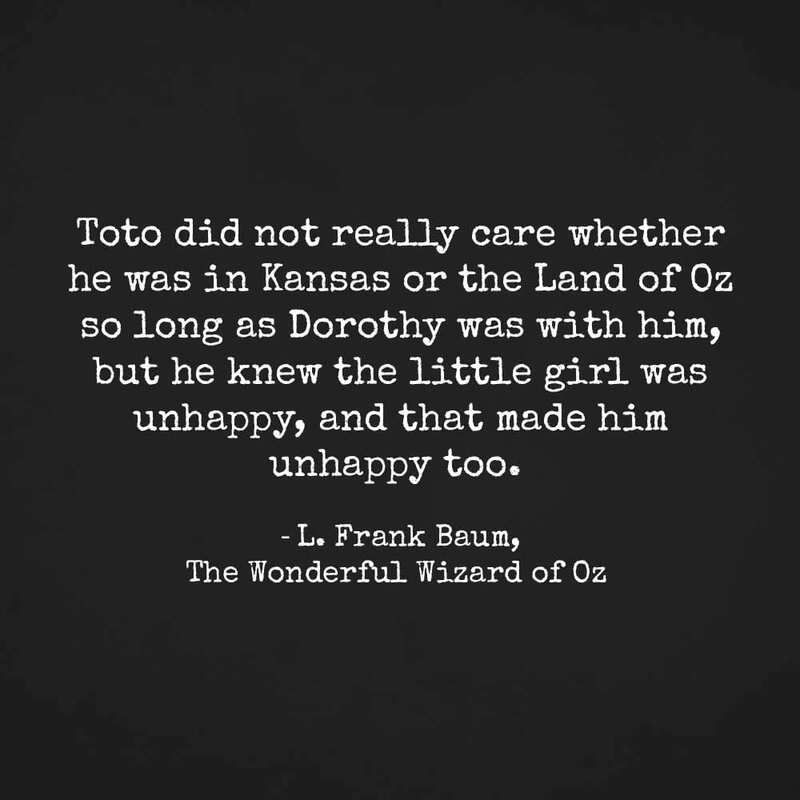 As for Toto, he just wants to be with Dorothy. After overcoming numerous obstacle and surviving numerous perils, each of them gets what they want from the mighty wizard, who turns out to be just a kind-hearted elderly gentleman. He gives the Scarecrow a new head full of bran, pins, and needles that are meant to be his “bran-new” brain. 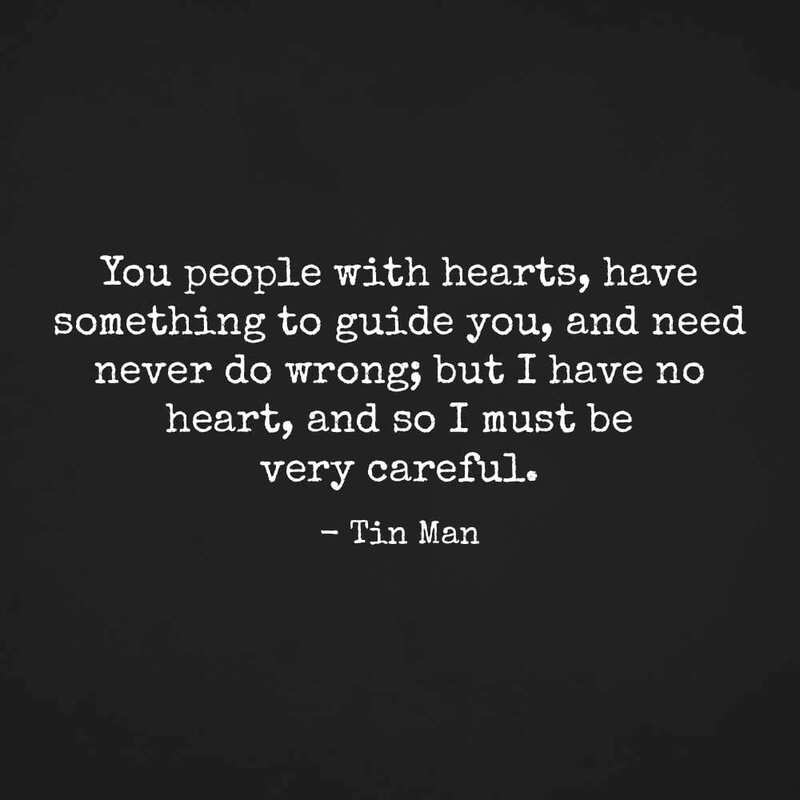 The Tin Woodman gets a silk heart stuffed with sawdust. As to the Cowardly Lion, he’s provided with a dose of “courage potion” to drink. The important thing to mention here is that each of our friends gets what he wants not from the Wizard himself, but rather in the course the adventures they go through as a team. As to Dorthy herself, she learns that she can return to the magical land of Oz anytime she wants, even without the help of a tempest. There are quite a few interesting facts to mention with regard to the book’s publication. Although the first copy came out of print on May 17, 1900, the book was not made available to the public until July the same year, when it premiered at a book fair at the Palmer House in Chicago. The reading craze that the book stirred at the turn of the 20th century is compared to that caused by J. K. Rowling’s Harry Potter series nowadays. The book’s immense popularity probably lends itself, in part at least, to the fact that unlike the Victorian authors of children books, Baum’s intention was not to preach and moralize his young readers, but rather to entertain them By October 1900, the first edition of The Wonderful Wizard of Oz in ten thousand copies had completely sold out and the second edition of 15,000 copies was almost finished. More than one million copies of the book had been printed by 1938, which is a lot considering the condition of the printing technologies back then and the cost of printing. The book’s original illustrations, many reviewers agree, are just as fascinating as the story itself. They were created by W. W. Denslow, a close friend and collaborator of the author. The book’s design was lavish for the time, with multi-page illustrations in various colors, and a number of color plate illustrations. Denslow’s vivid illustrations are so well known today that merchants around the world have obtained permission to use them to advertise their goods. The characters of the Scarecrow, the Tin Woodman, the Cowardly Lion, the Wizard, and Dorothy can now be seen in the form of rubber and mechanical toys, jewelry and even bars of toilet soap. The book’s immense popularity probably lends itself, in part at least, to the fact that unlike the Victorian authors of children literature, Baum’s purpose was not to preach and moralize his young readers, but rather to entertain them. 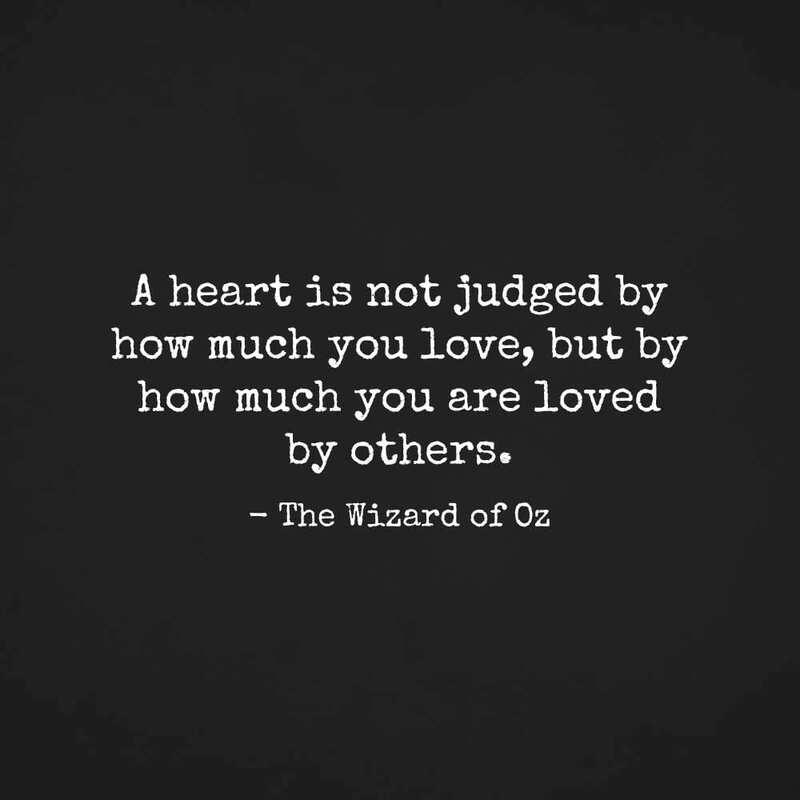 We hope that our fine selection of eleven quotes from The Wonderful Wizard of Oz will both entertain and inspire you! 2. As for you, my galvanized friend, you want a heart. You don’t know how lucky you are not to have one. 7. 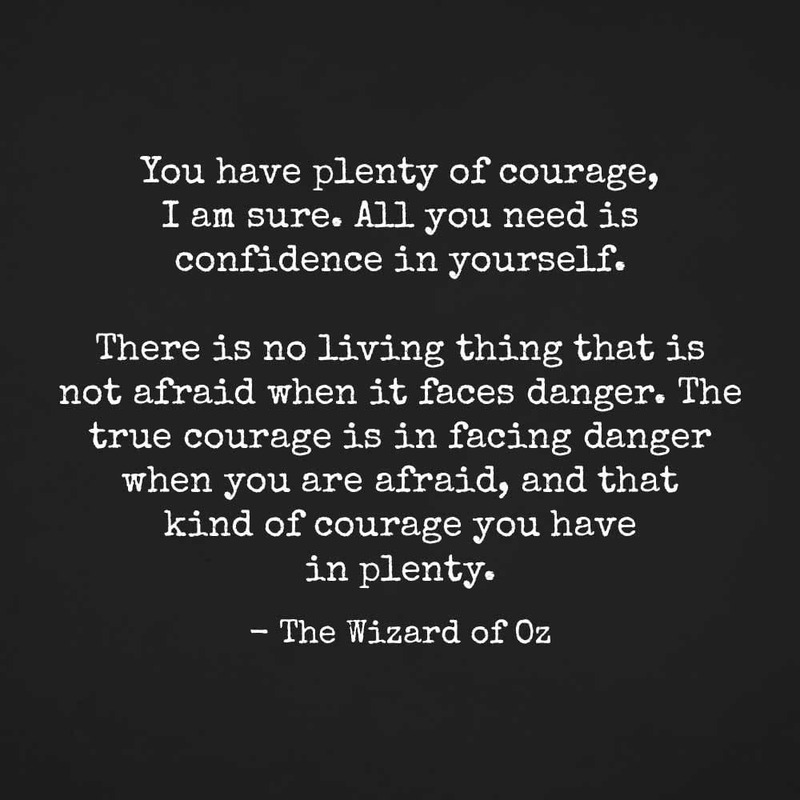 You have plenty of courage, I am sure. All you need is confidence in yourself. 8. No matter how dreary and gray our homes are, we people of flesh and blood would rather live there than in any other country, be it ever so beautiful. 9. Dorothy: Weren’t you frightened? 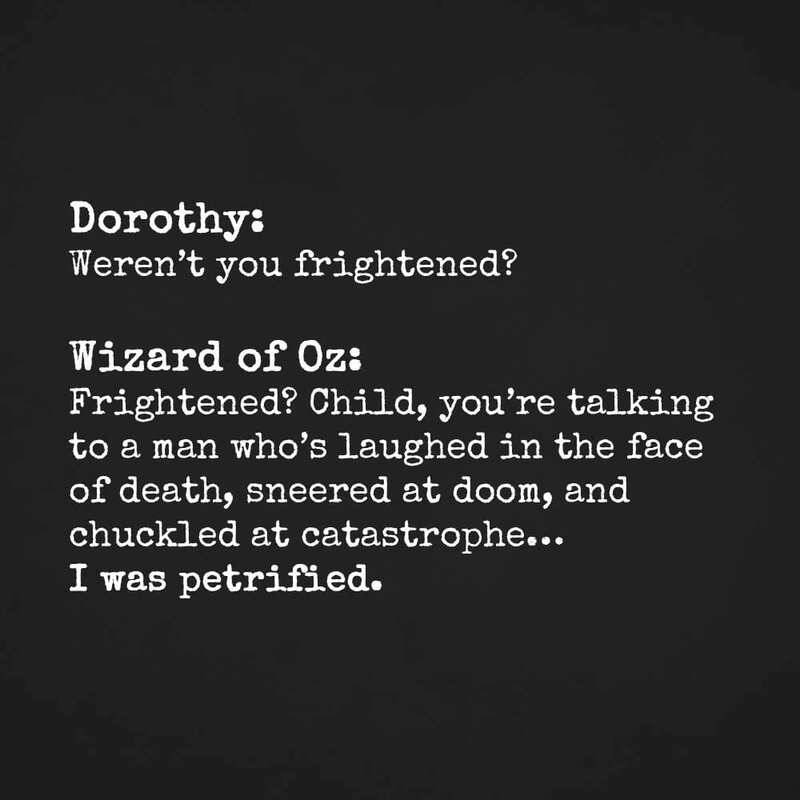 Wizard of Oz: Frightened? Child, you’re talking to a man who’s laughed in the face of death, sneered at doom, and chuckled at catastrophe… I was petrified.